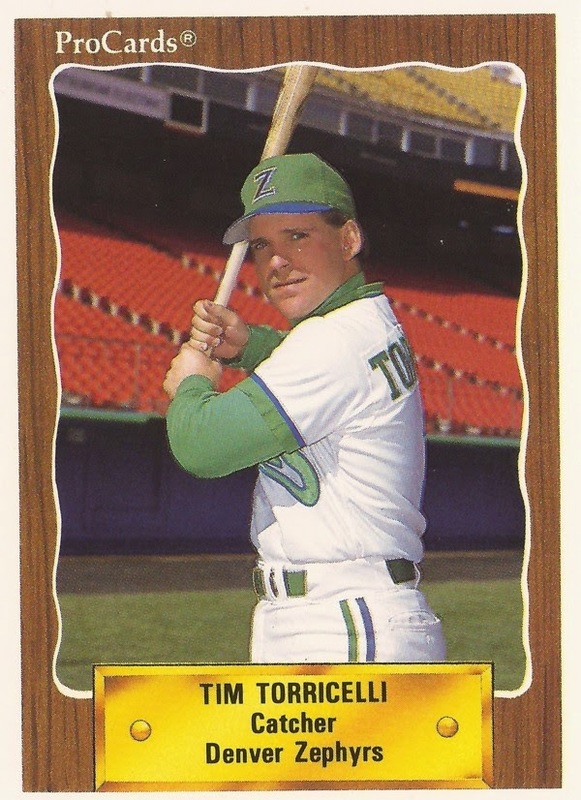 Tim Torricelli never hit well in his four years in the minors. But that wasn't the most important thing for the catcher, told The Florida Times-Union years later. Torricelli spent his four seasons in the Brewers system, signing with the team for 1987. He started that year at single-A Stockton, catching for the Ports. Torricelli hit .224 for the Ports with three home runs. One of those home runs came in an August game against Modesto. Torricelli hit a two-run shot just inside the left field foul pole. Also hitting a two-run home run in that game for Stockton was Gary Sheffield, according to The Modesto Bee. Torricelli also had a two-run single in a May game, making up for base-running miscue earlier, The Bee wrote. Torricelli returned to Stockton for part of 1988, he also saw single-A Beloit and AA El Paso. He hit .275 between them. He saw El Paso for the full season in 1989, but hit just .217 on the year. He rounded out his playing career in 1990, playing 17 games for AAA Denver. He hit .212 in his final games as a player, his career ending without making the majors. Torricelli went on to a career as a coach and manager in the minors, managing short-season Jamestown in 1993 and high-A Visalia in 1996. He also served as hitting coach in 1997 for Jacksonville, then returned to Jamestown to manage in 1998 and served as hitting coach for single-A West Michigan in 1999. It was while managing at Jamestown in 1998 and coaching at West Michigan that Torricelli oversaw the development of young Brandon Inge and Inge's move to catching. "He had a natural athleticism," Torricelli told MLB.com of Inge in 2009. "They sort of handed him to me and asked me to work with him, because I was a catcher in the Minors. The thing that I noticed right away was his arm strength. His arm strength was well above average, and he transitioned into catching pretty easily."